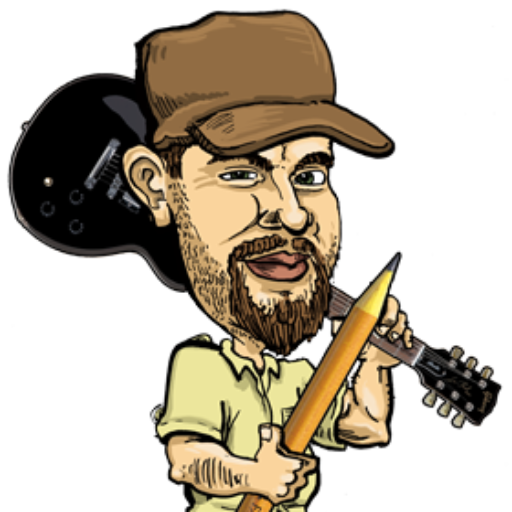 Unique artwork and designs! 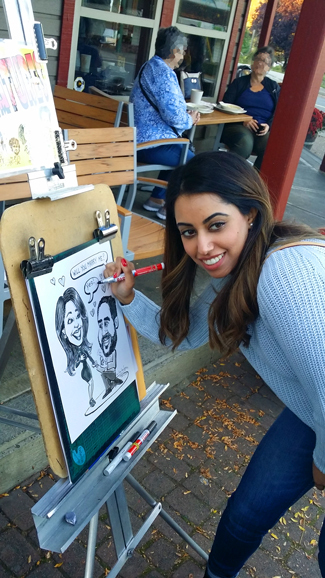 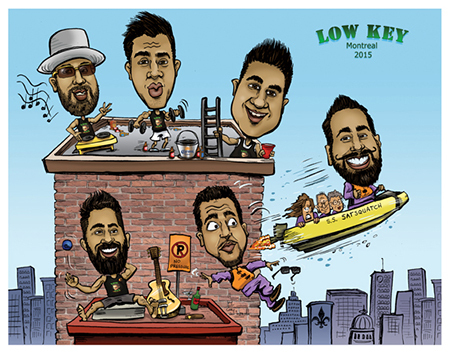 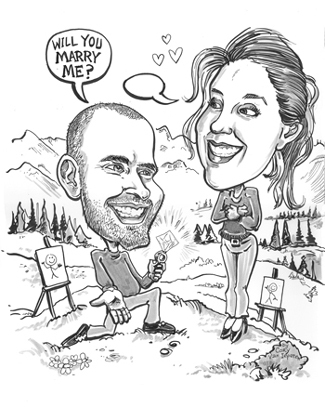 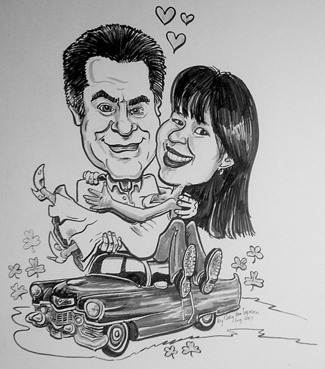 Add a fun personal touch like this one to make your caricature a classic! 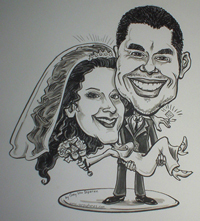 I've had requests to repeat poses for wedding caricatures like the one here. 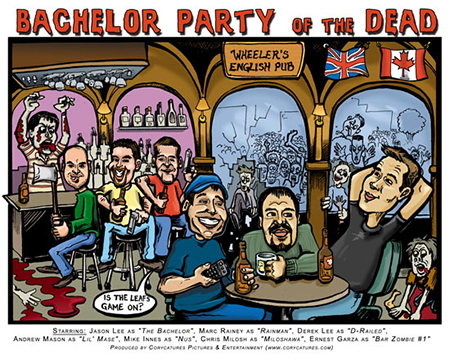 Great for invites! 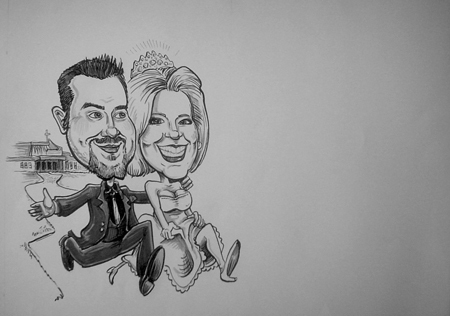 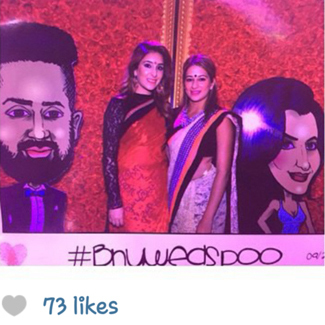 Featured on Shaw cable's "Wedding Belles" ~ Look at 2:00 mins for Cory Caricatures drawing cameo! 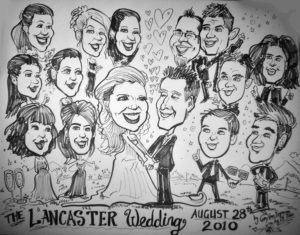 Personalized caricatures: Invites ~ Programs ~ Drink Tickets ~ Table centerpiece ~ Poster size sign at the head table or on the cake! 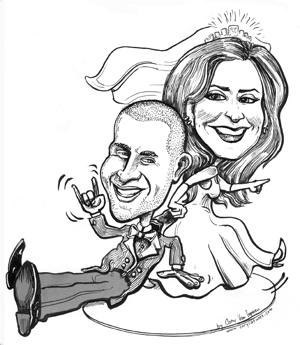 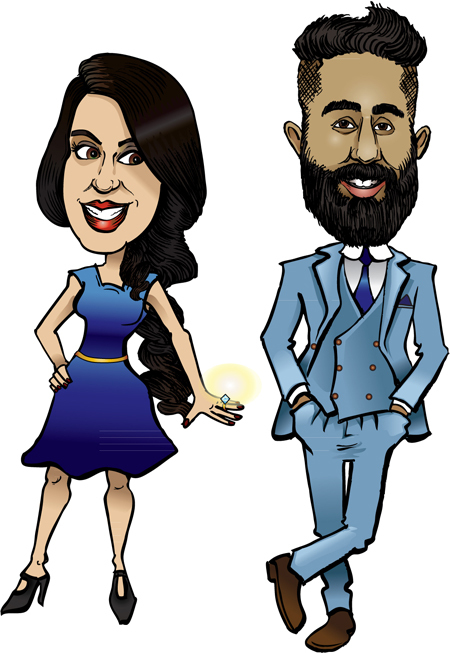 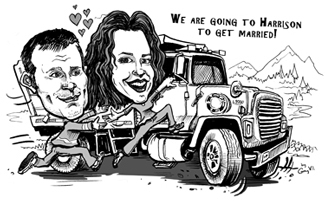 All kinds of wedding paraphernalia printed with your own caricature! 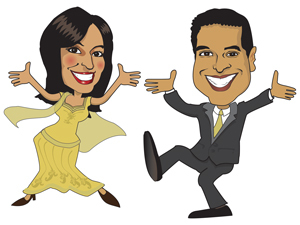 Entertain your guests with a take home souvenir! 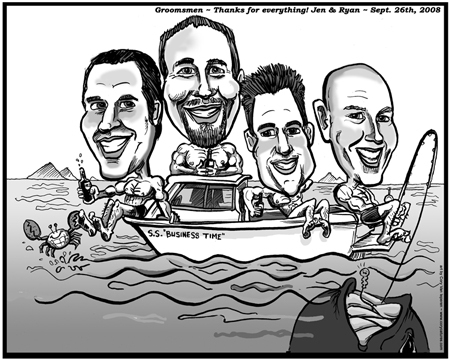 On the mantle next to your Award for Awesomeness! 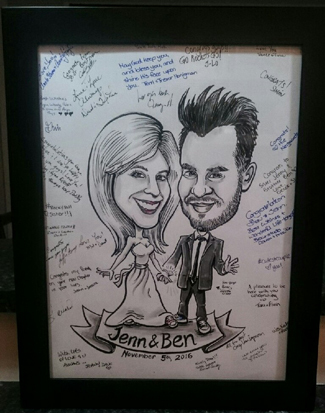 The party favor your guests will treasure for years! 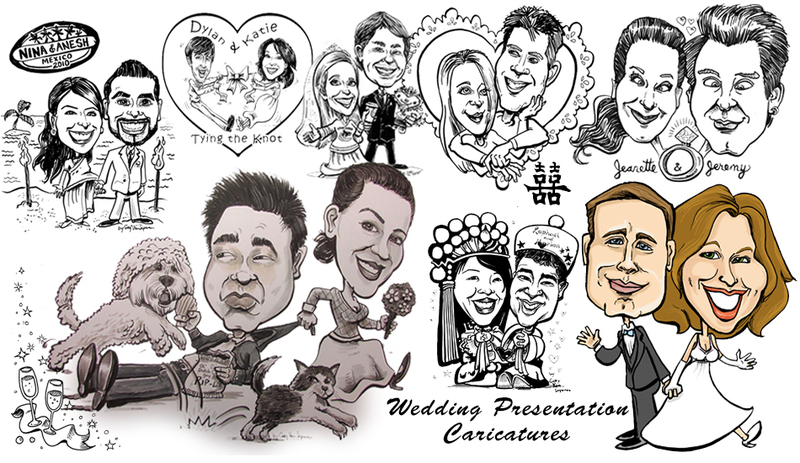 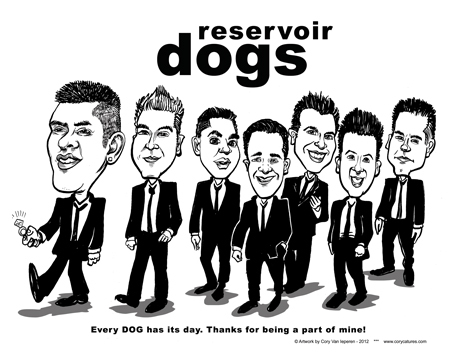 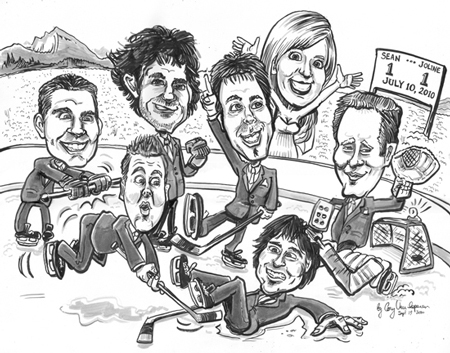 Custom caricatures done for all kinds of uses! 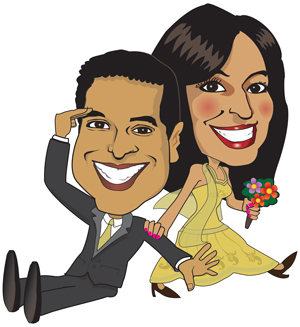 Have fun at your reception with a cartoon version of the bride and groom! 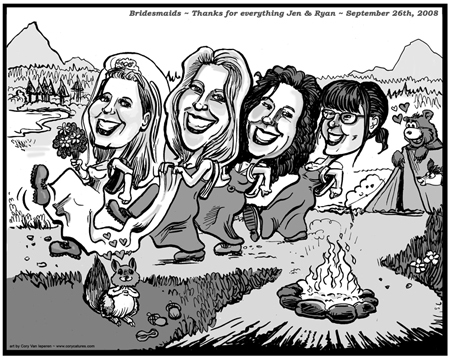 Instead of a book that gets put away, have guest signatures surround a fun cartoon of yourselves to display at home. 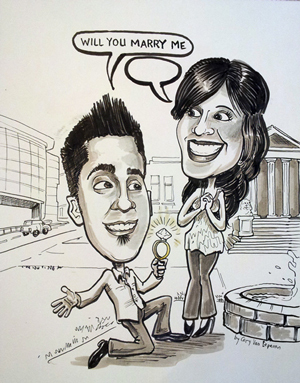 Custom designed themed poster size caricature. 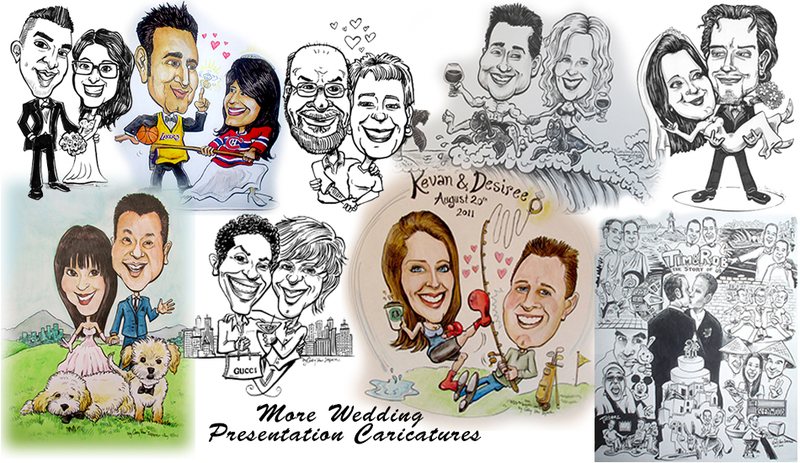 Simple Bride & Groom pose or a theme with your personal interests. 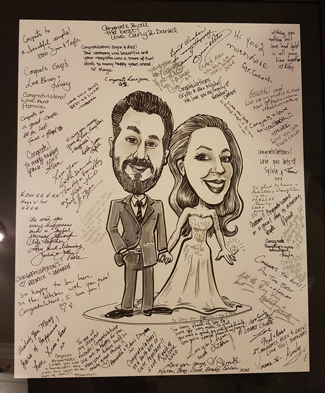 Guests sign at the reception or ceremony! 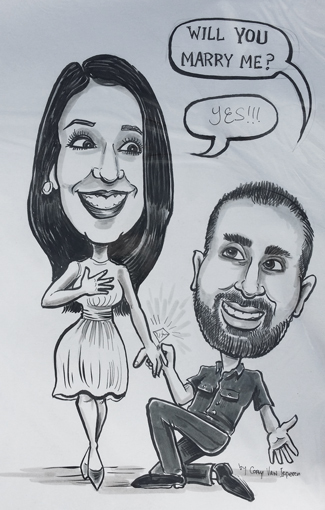 It's a treasure that lasts a lifetime. 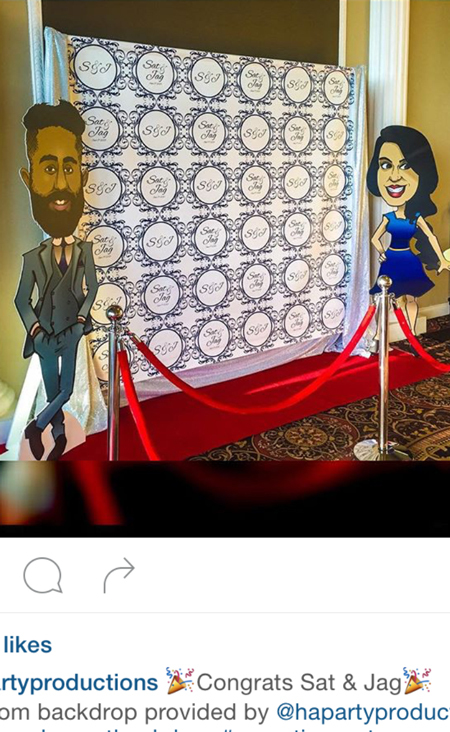 When you can't get to everyone at your reception, you get a cartoon stand in! 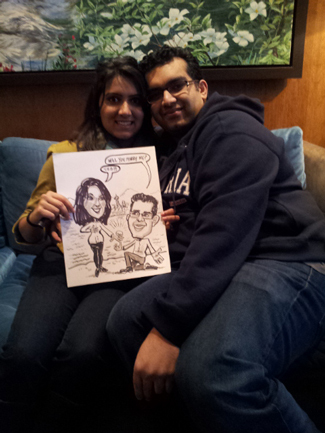 Caricature cut-outs people can pose with... ... ... Photo Op Central! 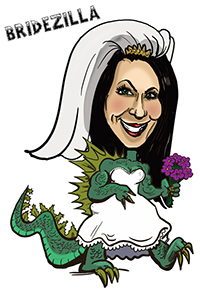 ***Please note - Currently, costs for printing cut-outs is not included in Corycatures designing. 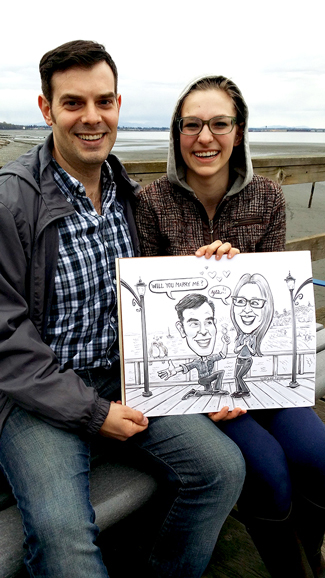 This charming piece was drawn for the happy couple depicted here. 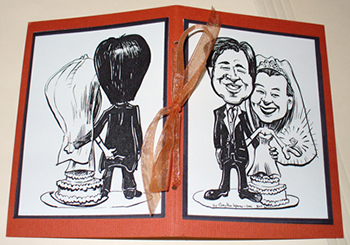 The artwork was printed on transparent vellum paper which was then hand tied to elegantly printed cardstock. 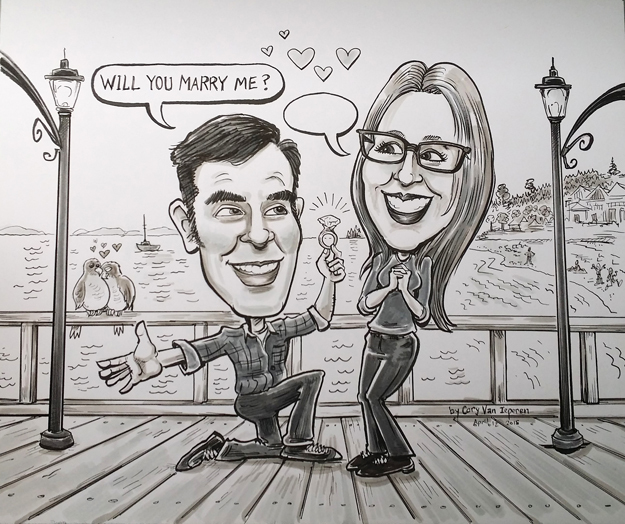 The end result was a clever and original invitation that was tasteful while allowing the good natured personality of the betrothed to shine through. 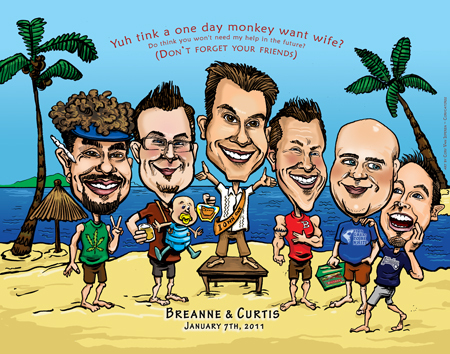 Gift to the Groomsmen and Bridesmaids .... or Stag & Stagette party fun! 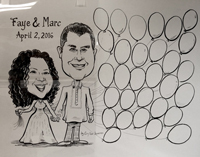 Instead of etched wine glasses, you can have a caricature with a copy for everybody. 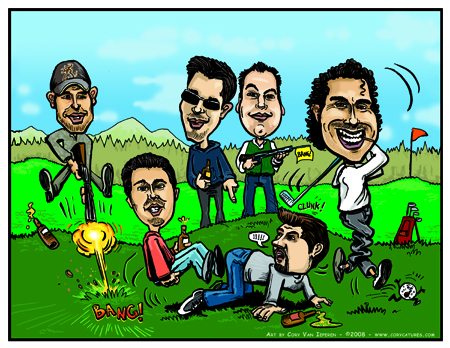 Done digitally for printing multiples, design an unforgettable scene for shirts or posters. 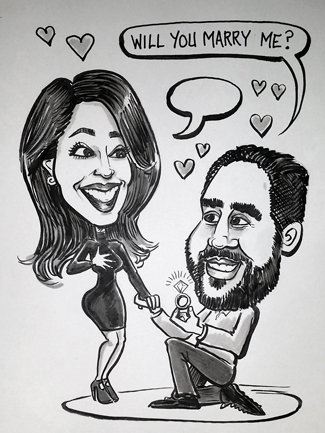 Because, why not?!?!?! 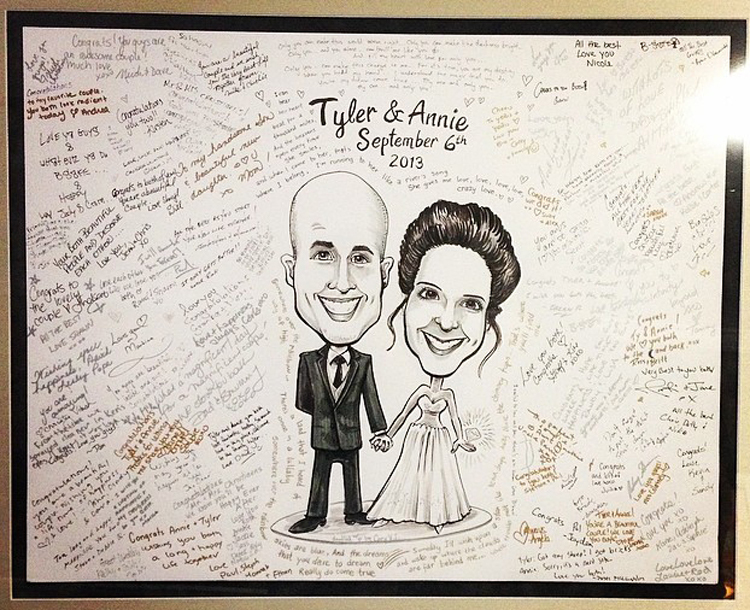 If you can't have an open bar but can make it Twoonie bar or give a couple tickets per guest, make it personlized! 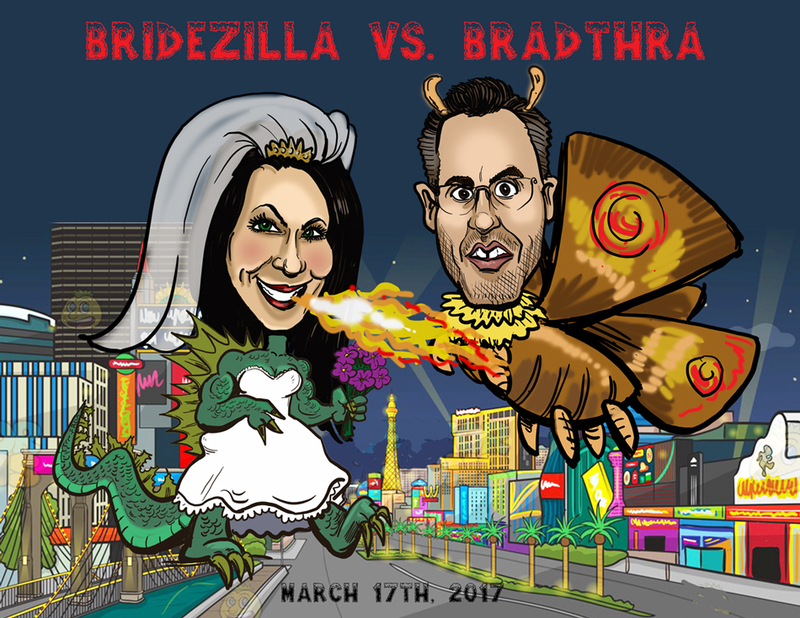 The center sample was such hit at their wedding, people were paying for drinks out of pocket in order to keep the ticket as a souvenir!